Delve into the complex and unique world of the world's largest multiplayer online role playing game with the World of Warcraft: Ultimate Visual Guide Updated and Expanded Hardcover Book. Welcome to the realm of Azeroth. Shaped by titans, ruled by ancient magic. Beset by demons and earth-shattering cataclysms. Where good, evil, the living, and the undead battle for supremacy. 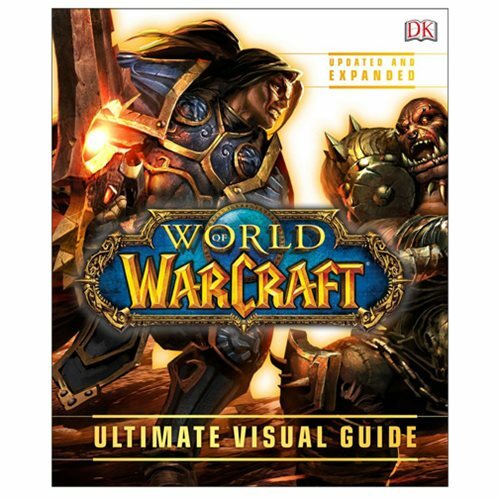 The World of Warcraft: Ultimate Visual Guide Updated and Expanded Hardcover Book was created in close collaboration with Blizzard Entertainment. The World of Warcraft: Ultimate Visual Guide Updated and Expanded Hardcover Book explores the major characters, key locations, and epic history of this battle-scarred realm, and will capture any adventurer's imagination with its breadth of detail. This guide delves into the games and expansions from the world's most popular online role-playing game. The 216 page book measures about 11 9/10-inches tall x 9 9/10-inches wide. Ages 13 and up.